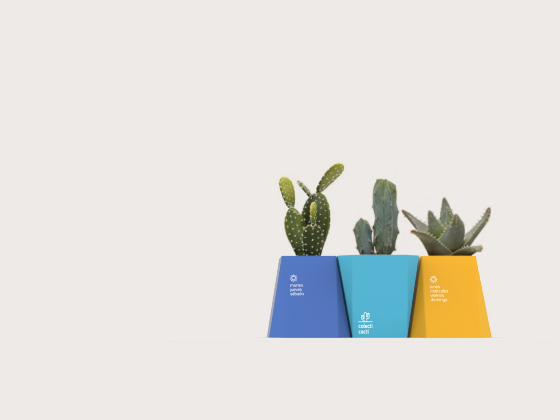 Packaging designed for cactus collectors and lovers. 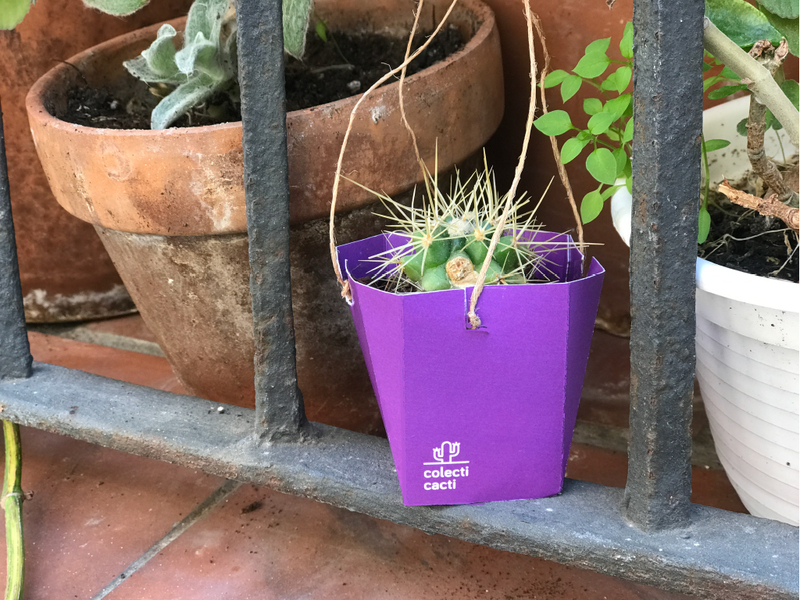 The design is a cardboard structure that ideally replaces the common plastic pot in which cacti generally come in when sold in flower shops. 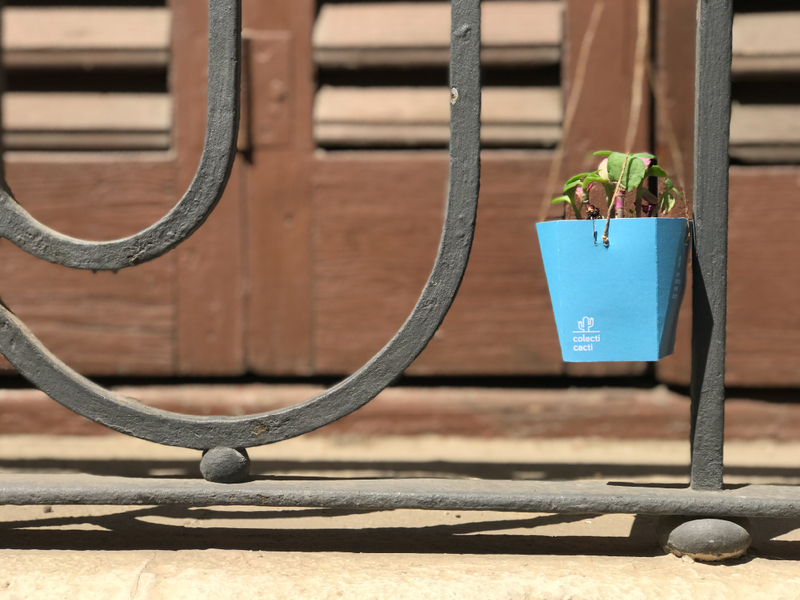 Although it only uses one kind of volume, it can be placed upside down in order to create a new module that fits perfectly next to the other. 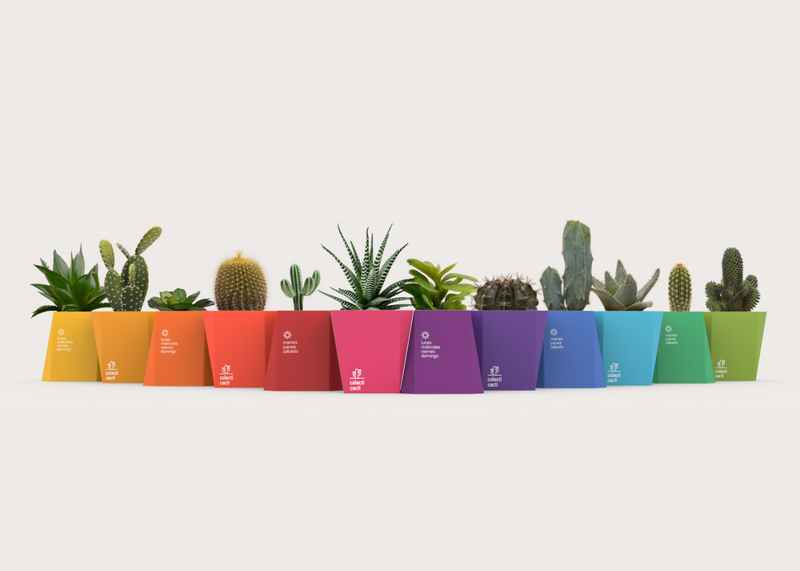 As cactus lovers know, these plants need to receive sunlight on all its sides in order to grow harmoniously. This is why on two of the sides of the module we indicated which days that side should be exposed to the source of light. 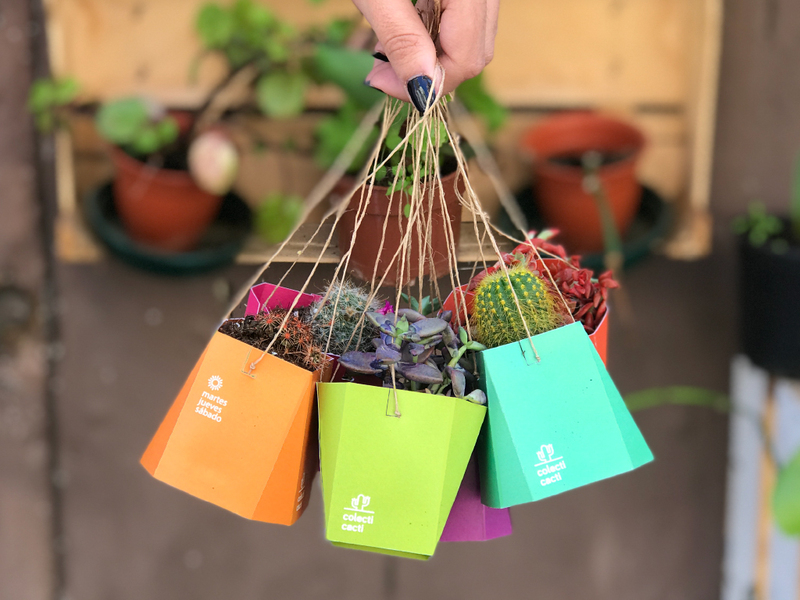 The modularity of this proposal, adding the fiber string that holds the pack, allows several cacti to be carried at the same time without risking damage to the plant (or to the person transporting it!). 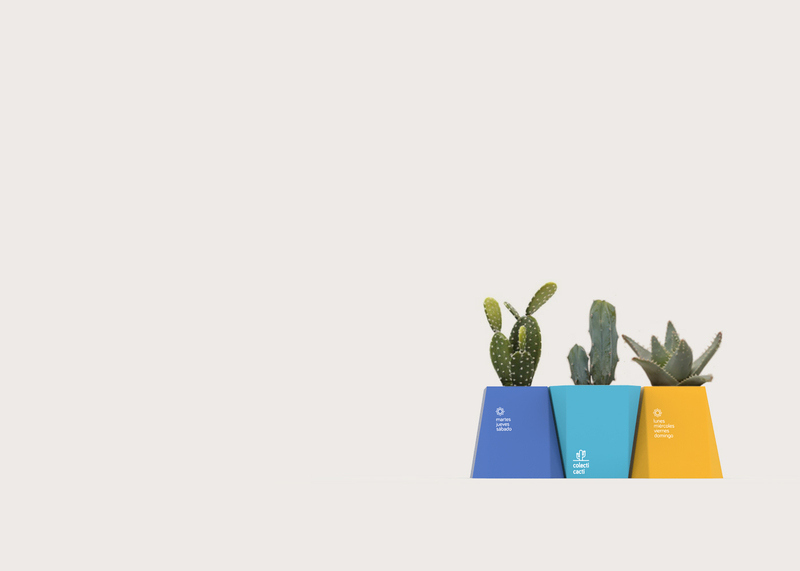 The collection comes in 12 different colours, allowing the buyer to create their own colour combinations.